Ductless Mini-Split Systems | American Heating & Air Conditioning Co. The growth of sales and installation of Ductless Mini-Split Systems has been exponential over the past 15 years. These systems have predominantly found in Europe and Asia but have really taken off in the United States because of the High Efficiency (up to over 30 SEER) with Inverter Technology and the increased Heating Capacity on the Heat Pump Systems that can effectively heat a home to 70 Degrees when the outside temperature is zero. Ductless Mini-splits have long found applications for solarium’s, bonus rooms, garages, small apartments, computer rooms and supplemental heat/cool for master bedrooms. 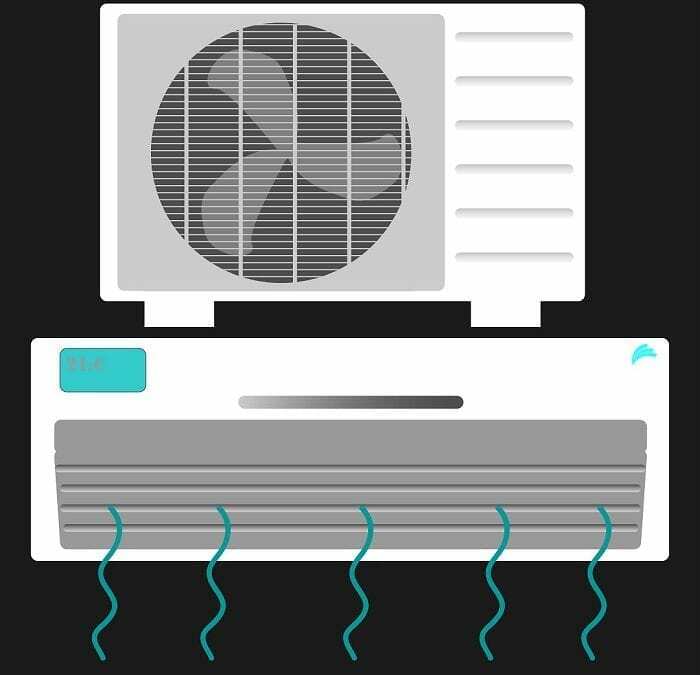 But especially now for increased heating capacity you are finding more applications for a whole house installation where you can install up to 12 indoor Fan/Coils in each room with one (1) outdoor unit. This can give the homeowner the ability to control each room to a desired temperature and shut off other rooms. We recently installed in an apartment building in downtown Cincinnati with 21 efficiency apartments 7 indoor units per floor with one (1) 24.0 SEER Outdoor Heat Pump. There is a manifold for each floor where all 7 refrigerant lines from fan/coil tie into with one (1) refrigerant line running to heat pump on roof. These multi-split systems worked on this project because they are small apartments app 450 square feet and there was no room to install furnace or duct-work in each unit. This design has been prevalent in Europe and Asia for many years and is now becoming commonplace in the United States. For more information on your options and ductless mini-splits, contact us.